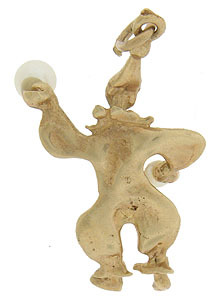 This whimsical 14K yellow gold juggling clown is the epitomy of the 1950's. 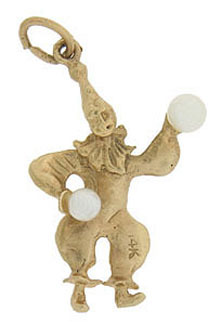 He holds two large cultured pearls and looks ready to entertain. Circa: 1950. Our talented friend measures 9/16" in width and is 1" long.